Update: Expekt Affiliates is now part of the Beaffiliates Program. Expekt is a large online sportsbook that offers the full spectrum of betting products for players. The company is based in Malta and also holds their gaming license there. The betting brand was mainly marketed to northern Europe since the founders are Swedish. Expekt is owned by the Mangas Gaming group which also owns the Everest Poker, Bet at Home and BetClic brands. The Expekt brand is well established with many languages and at the moment the company excepts most players from around the world except the United States and France. 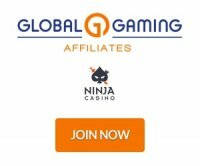 Affiliates can promote the sportsbook that features live betting, their Microgaming casino and live casino with live blackjack and roulette. The poker room is powered by the iPoker Network which is a playtech company. The bingo room uses Parlay Entertainment software. Affiliates have a choice of CPA (Cost per Acquistion) commissions or revenue share. The CPA rates are considered lower however the revenue share rates are favorable. The affiliate backend is powered by NetRefer software and presents a dashboard showing the previous 3 months of affiliate data for views, clicks, new customers and earnings. The reporting section lets you isolate the various betting products and the Customer Reporting tab gives you feedback on your player activity. Click on My Media to get your marketing materials such as banners, dynamic banners, livescore applications, logos, wall papers, sub affiliates and even inactive ads. Also search for articles, banners, html mailers and text links. Affiliates have all gambling products to promote for your European and world wide traffic. The sportsbook, casino and poker room are strong enough products to stand as their own brand. The flagship product will always be the sportsbook but affiliates can promote everything with confidence. Affiliates get competitive CPA deals and revenue share for their efforts. The sportsbook offers 25% to 35% revenue share with 30€ - 70€ CPA. The poker room offers 25% to 35% of the net revenue share and CPA available upon request. The casino offers 30% up to 45% net revenue share with 30€ - 70€ CPA as well. The bingo affiliate program offers 25% to 35% net revenue share.